Preheat the oven to 350F (180C) for 15 minutes. Grease baking sheets or line it with parchment paper. 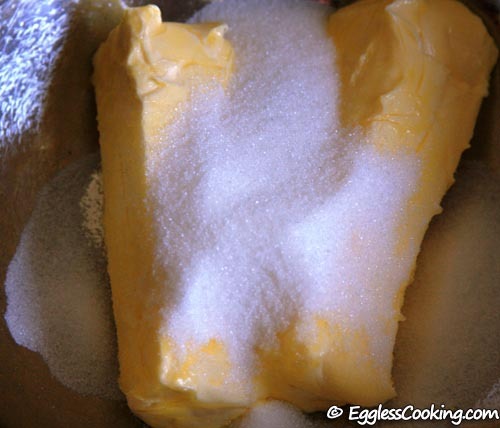 Beat the butter and sugar together in a large bowl until pale and creamy (for 5 minutes). Pour in the condensed milk, vanilla extract and beat to combine. 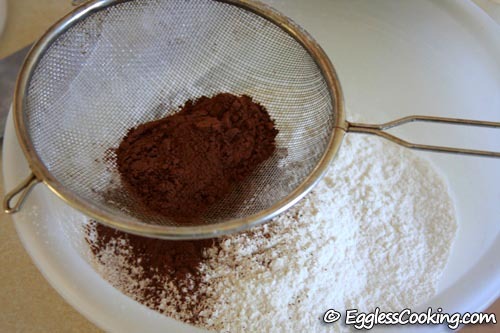 In a separate bowl, sift the flour, cocoa and baking powder and combine well. 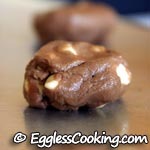 Stir into the butter mixture, then add the chocolate chips, nuts (if using). Combine it well using a spatula. Don’t beat it. 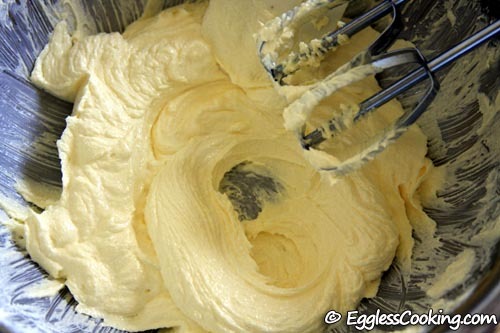 Take a tablespoonful of dough, roll it and flatten it using your fingers. 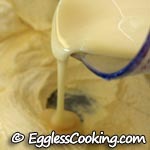 Grease the tablespoon, so that the dough will fall off easily. Bake it for 15-18 minutes, or until golden brown. 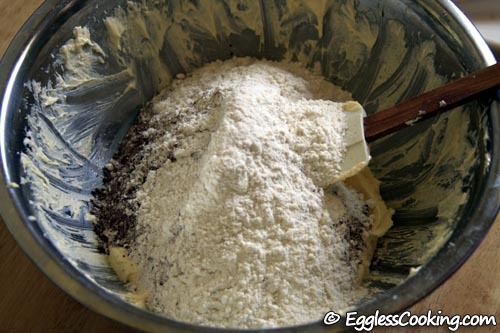 (The color check can be done if using all purpose flour only. Mine were done at 17 minutes). 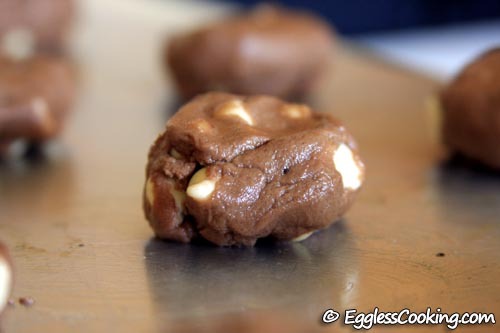 Let the cookies cool for 5 minutes in the baking sheet itself. Don’t try to remove it. It may look unbaked but it will become hard on the baking sheet itself. After 5-10 minutes, using a spatula transfer the cookies to a wire rack to cool completely. 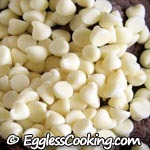 I had only white chocolate chips in my pantry. 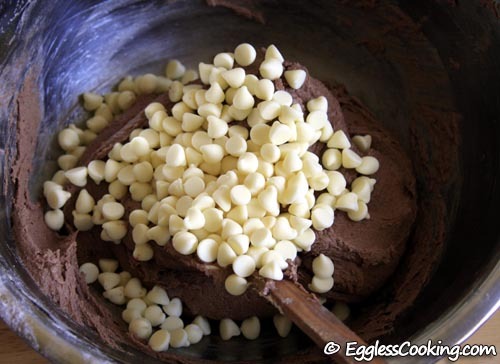 White chocolate chips with all purpose flour, will have a pale look, so to give a contrast in color, I mixed 1/4 cup of baking cocoa (Dorste) to 2 cups of all purpose flour, not changing the 2.25 cups of flour mentioned in the original recipe. So if you have semi-sweet chocolate chips, you can just use all purpose flour alone to bake the usual chocolate chip cookies. The cookies were very sweet. 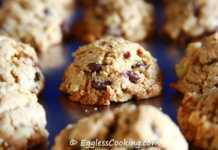 I would suggest reducing the chocolate chips to 1.25 cups and add some chopped nuts or quick cooking oats instead. If you are using a dark (black) color non stick baking sheet, reduce the baking time by 1 or 2 minutes, so that the bottom does not get burnt. The cookies were crispy, not chewy. So if you want a chewy chocolate chip cookie, I think decreasing the quantity of butter or increasing the all purpose flour would be helpful. Early yesterday morning I started my baking expedition. 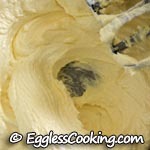 First I started with the Eggless Coconut Macaroon recipe. One of my friends wanted a substitute for coconuts. I thought that carrots might work out and tried the exact same recipe with grated carrots instead. What was I thinking? Not all light bulb flashes are as good as eggless ice cream or apple puran poli. Fortunately I test baked only 4 or 5. The carrots were not cooked and had a raw smell and I did not have the patience to bake it further. So I abandoned it halfway. 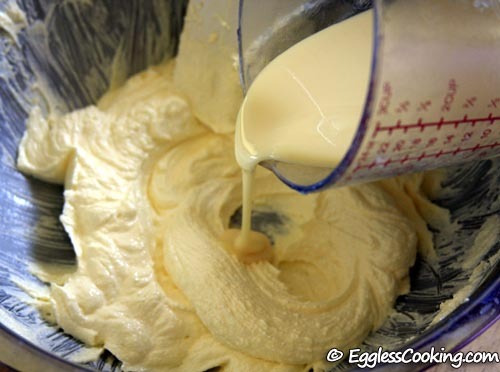 Now what to do with the rest of the batter? Recently in a magazine I came across a recipe for Carrot Appams (deep fried dumplings). Already this batter had all purpose flour, carrots and condensed milk, so I asked my mother to tweak it a little and prepare appams, which by the way tasted so much better than my carrot macaroons. With a beautiful climate and abundant sunshine, I did not want to waste the day, when my husband and myself always complaint that we don’t have enough sunlight to take good pictures. 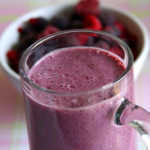 So I decided to try another recipe in spite of the “not-so-good-result” in the morning. This time I did not want to experiment anything on my own, so went with a recipe from the book “Cookies” by Pippa Cuthbert and Lindsay Cameron Wilson. The condensed milk chocolate chip cookies is the first recipe in the book and is also egg less, so I didn’t have to modify anything at all. Good for me! As always I test baked 3 cookies first and was waiting eagerly to see how it turns out. As I have not used all purpose flour alone as mentioned in the recipe, I was not able to check for the golden brown color, to take it out from the oven. I checked the cookies after 17 minutes and it felt right. When I touched it in the middle, it did look like it was not baked, but once I left it in the baking sheet itself for 5 minutes, it became hard. 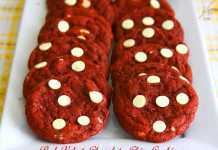 It had the proper shape, thickness and looked like store bought cookies. It tasted amazingly delicious. Crisp on the outside, chewy on the inside, but little sweet for our taste. I think the sweetness was because of the white chocolate chips I used. I can’t wait to try the original recipe (with all purpose flour and semi sweet chocolate chips) to taste the traditional chocolate chip cookies, but egg less. 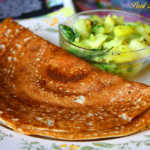 Previous RecipeCracked Wheat Dosas – Your Recipe Rocks! 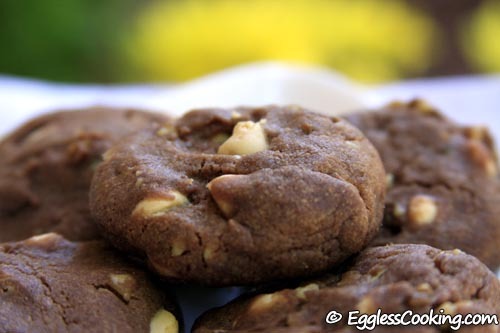 I made these cookies with some tweaks and they came out very well…crisp on the outside and chewy inside. 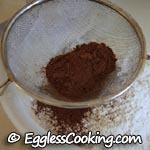 I replaced baking powder with baking soda, added some extra flour, used cocoa powder and almond bits. They tasted just right like the bakery cookies and even without any chips tasted very good. The baking world is yet to give the humble condensed milk it’s due recognition. It’s a fantastic ingredient in many ways! That’s awesome, Suhasini. Please keep in mind that swapping baking powder for baking soda and vice versa doesn’t work always. Not sure, Vapi. I have not tried it. You can probably try it with some milk and sugar. 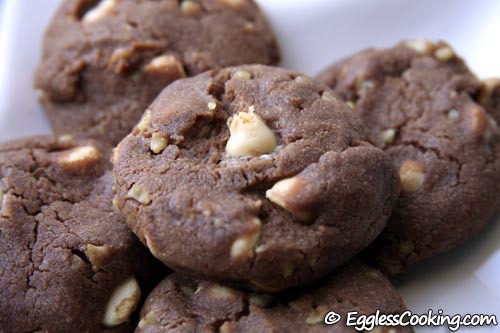 I love cookies and this recipe is perfect for my hunger…… Thank you so much Madhuram. 4. With cocoa powder (u have to keep looking to make sure it’s browned at the edges) I used room temperature softened butter and just didn’t have the patience to whisk it for 5 minutes, even with an electrical mixer (u really need KitchenAid) so upon inspection I can see tiny bits of sugar still intact on my cookies. 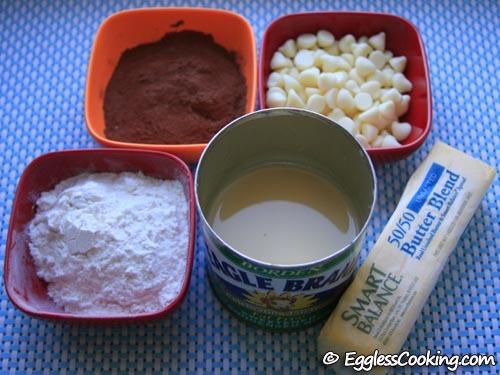 I haven’t baked anything in a cooker Binay. So really don’t know. 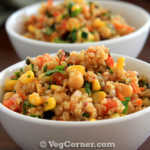 Do you have any recipes with whole wheat flour that we use for chapati? Also any recipe without butter? 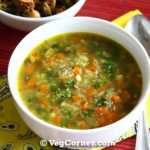 may be using ghee? 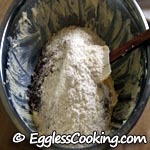 MY in-laws dont eat all purpose flour or butter so want to try and make something for them. 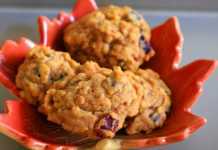 You may try all the recipes with whole wheat flour instead of all purpose flour but do not expect the same taste and texture that you would get if you had made it with all-purpose flour. You can use good quality avocado oil or coconut oil for the fat. Not sure about ghee because it may add a strong flavor. hi, I tried your recipe recently . It was a super success. I baked it for my son’s birthday and he was soooo happy. Thanks for sharing your recipe. 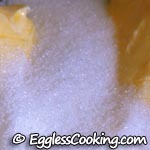 I am always on a look out for egg less recipes and your recipe is just perfect.